There are a lot of compact cameras to consider, if you’re looking for DSLR alternatives. 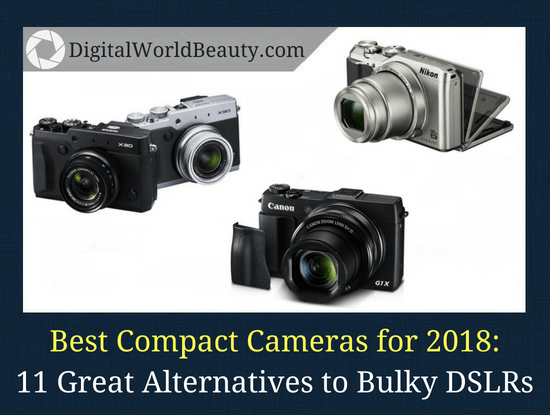 Let’s have a look at our list of the best compact cameras for 2018. As you may already know, point-and-shoot cameras (also known as compact cameras), are designed primarily for simple everyday shooting. At the dawn of the advent of compact digital cameras, the main criterion of choice was the number of megapixels, but since that time the technology has moved far ahead. If the camera dimensions are critical to you, pay attention to ultra-thin digital cameras. Or maybe you’re looking for premium-segment camera models? Here’s an overview of what to expect in this post (click on the link to jump to the section you want to read). 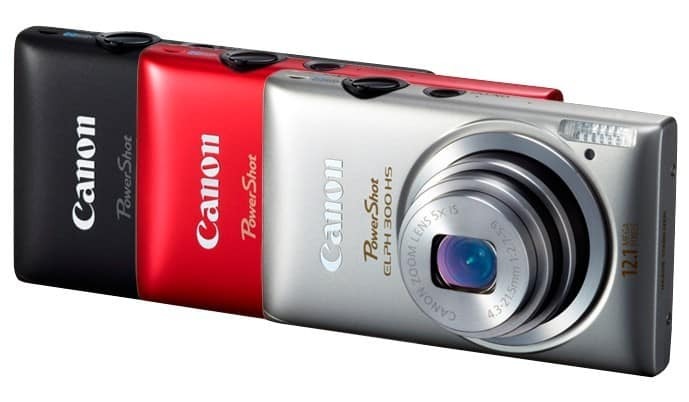 Canon ELPH 300 HS – thinnest and cheapest point-and-shoot camera. 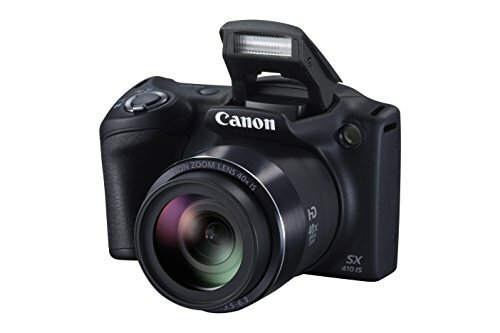 Canon PowerShot SX410 IS – Best optical zoom, consider as a travel companion. 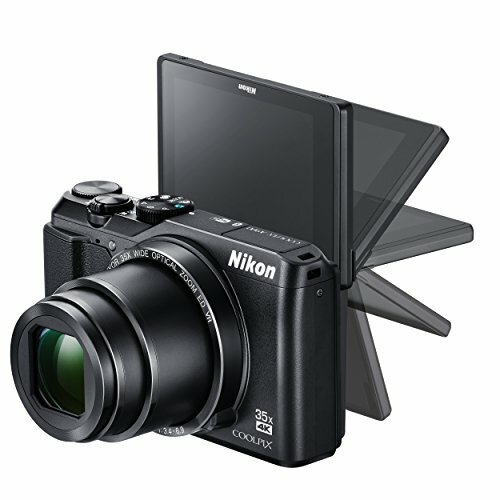 Nikon A900 – A camera with 4K video and tilting screen for under $400. Canon G9 X II – Best bang for your buck travel camera (under $500). 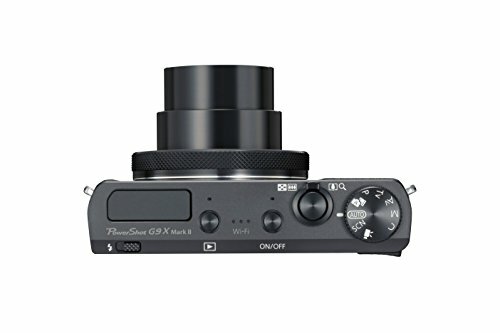 Sony Cyber-Shot DSC-RX 100 II – Optimum price-performance ratio. Ricoh GR II – Pretty much a legendary camera among street photographers. Canon M10 – High-quality compact camera, suitable for travellers and vloggers. 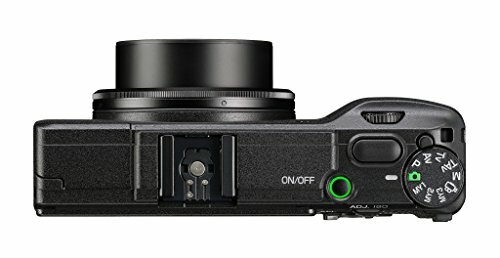 Fujifilm X30 – Electronic viewfinder. Hybrid autofocus. Leica Q (Typ 116) – This premium high-end camera is close to perfection. 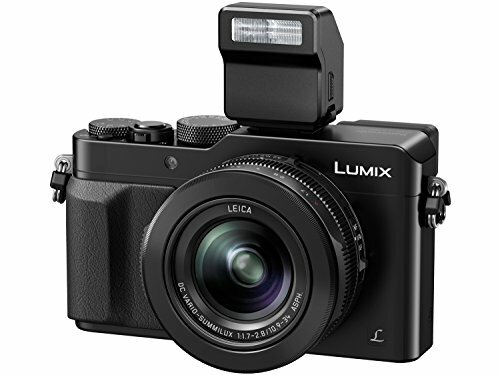 Panasonic Lumix DMC-LX 100 – Your take anywhere camera with 4K video. 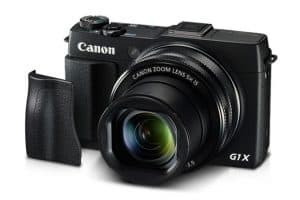 Canon Powershot G1 X II – One of the best vlogging cameras with flip up screen. Now, let’s get into the details of each camera. Compact cameras are good for simplicity and their small size. They don’t attract too much attention, don’t take up much space and they are generally ideal for travel. Manufacturers have endowed them with impressive technical characteristics, but the quality of the images will only satisfy unpretentious photographers. Professionals, on the other hand, will sigh about the noise, image quality and slowness of autofocus. Let’s have a look at the first compact camera with ultra-zoom lens. 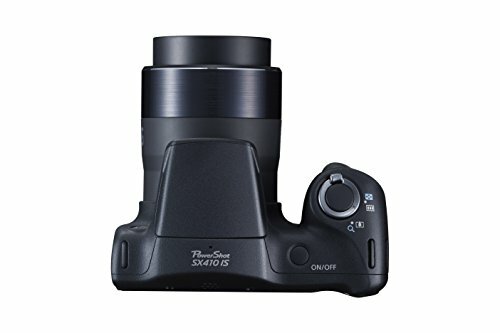 This 2015 camera model quickly broke into the leaders of the rating as being the best among 40x optical zoom cameras under $500. The resolution of the pictures in this model has grown to 20 megapixels that with such a small sensor played a dual role. On one hand, the photos are very amenable to scaling, which undoubtedly will appeal to the amateurs looking at the small details. On the other hand, the high pixel density increases the level of noise when shooting in poor lighting, but what’s good is that it increases the zoom of the lens by 30 to 40x. A slight decrease in the aperture at a focal length of 96omm doesn’t really affect the quality of the photo. Remote objects are not the only thing that this camera can do. With the minimum focus of 24 millimeters you can easily shoot landscapes, architecture and a large company of friends. There is also an Auto Live mode, which will make it easier for amateurs to understand the camera. You can change some shooting parameters of brightness, color balance and saturation, and in the digital filters mode, you can choose 6 different effects in case you want to experiment with the story. The Canon PowerShot SX 410 IS buyers will be pleased with the image stabilization system and its tenacious and fast autofocus. The camera confidently focuses on close objects and is good for creative experiments with macro photography. However, the aperture is not super great (f/3.4 – 6.3). Keep in mind that despite the rather powerful processor, the model is absolutely unsuitable for sports fans: the shooting rate is inexcusably low and is only 0.5 frames per second. Once again, with the range of focal lengths from 24 to 960 mm it will allow shooting in close quarters and practice taking images of the moon and birds. You can’t count on having high quality images, but PowerShot SX 410 IS is definitely suitable for everyday use to document life as you see it. Canon PowerShot SX410 IS is an excellent example of a combination of simple controls and powerful zoom. A beginner photographer doesn’t have to overpay for a bunch of unnecessary features, at the same time he will not feel deprived of those. Of course, due to a rather weak battery, this camera will not be the best choice for long travels, but thanks to its light and compact body it is great for short trips and daily walks. Subcategory: One of the most popular cheap cameras. 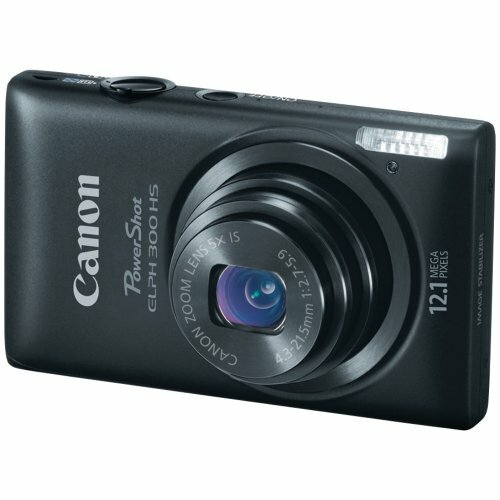 Canon Powershot ELPH 300 HS (also known as Canon IXUS 220 HS outside the US) is an ultra-compact camera of the stylish IXUS line. as well as HDMI output. As I said, Canon ELPH 300 HS uses a back-side illuminated sensor. What’s the big deal about it? See, in “ordinary” sensors, the elements of the electronic circuit are located between microlenses and photosensitive elements, which in part prevents the passage of light. In sensors with backside illumination, which have only recently been used in digital cameras, the elements that do not participate in the collection of light are transferred to the rear side of the semiconductor structure. As a result, the absorption efficiency of the incident light has increased significantly, which is especially true in low light conditions – the image is less noisy at high ISO values. In addition, the new type of sensor provides a faster readout of information, which, in the case of the Canon ELPH 300 HS, has achieved a high speed of continuous shooting, which is 3.4 frames per second. In comparison with many IXUSs, this device is relatively inexpensive – probably, not least due to the manufacturers’ refusal to use spectacular, to pretentiousness, elements in the decoration, which we often see in the more expensive IXUS models. In this case, the camera looks quite serious and practical – preserving, however, a certain charm and elegance. Canon ELPH 300 HS is a typical representative of the compact IXUS camera line, traditionally positioned as stylish models, primarily designed for problem-free shooting in auto modes. A fairly elegant, easy-to-operate, functionally balanced device, which even gives out quite great quality pictures. Great for a full-time use in everyday life. Canon Powershot ELPH 300 HS (IXUS 220 HS) is an excellent version of the compact, “which is always with you”. Nikon A900 is a compact camera with a large 35x zoom, as well as the 4K video shooting, the format that everyone is crazy about these days. Keep in mind that it’s still a cheap point-and-shooter and the camera capabilities are nothing compared to quality DSLRs. It’s more of a cheap alternative, if you’re not very picky when it comes to cameras. In any case, here are a few things that you’ll like or need to keep in mind when making your decision. First is that due to its zoom, the aperture suffers. Shooting at an aperture of f/3.4, for example, you’ll need to have good lighting. In low-light situations, you’ll likely see lots of image noise. There’s a built-in stabilizer, which will take photos at a slightly longer exposures and therefore eliminates serious shaking. However, when shooting at maximum zoom, it is highly recommended to use a tripod. Despite the presence of the stabilization, handheld shooting in tele position will be a challenge. As can be seen from the images of the camera, it has a 3-inch tilting screen with a resolution of 920 px. The flip up screen is something that will help you take selfies or create daily vlogs for your Youtube channel. The ISO level can expand to 3200, which definitely can’t compare to full-frame DSLRs, but is enough for every day shooting. And just like most modern cameras, Nikon A900 has wireless functions, whether you want to upload your photos online using a Snapbridge program or if you want to remotely control it. 4K video and 35x zoom with a built-in stabilizer in such a compact camera are something that win over regular smartphone camera. Even though there is no RAW mode and no touchscreen, this camera might be worth trying if you are a casual photographer, vlogger or simply looking for a vacation camera. Cameras with 1 inch and high zoom lenses is a very narrow but extremely interesting segment. Well, the sensor is large enough to create photos of acceptable, good image quality in low light and the physical dimensions are comparable to the classic digital compact cameras that were replaced by smartphones. Of course, there are decent competitors on the market, like Panasonic Lumix CM1. However, for some, dimension-wise it’s a pretty big camera, which also has f/2.8 aperture and fixed focal length. 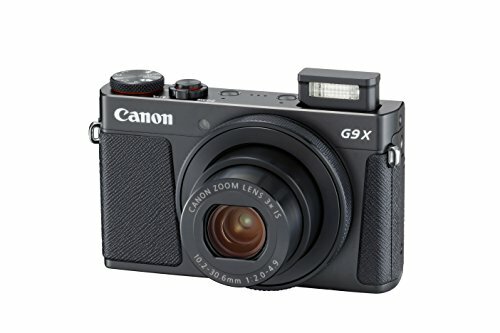 Whereas Canon G9 X II is very compact camera equipped with zoom lens with a higher aperture. Once again, thanks to its 1-inch sensor, you can get great images in low light up to ISO 800. If you plan to upload smaller images on the Internet or print photos in small formats, then the ISO 1600-3200 values will also work. Canon PowerShot G9 X Mark II also has all the necessary wireless interfaces. Through them, the camera can easily connect to a smartphone or tablet to send or view photos. And, if necessary, you can use your smartphone gadget as a remote control panel, turning it into an external viewfinder. The price is subject to change but most of the time it’s under $500, or even under $400 as of July 2018. Now, many photographers will agree with me that Canon G9 X II is a great portable/pocketable camera as an alternative to a DSLR. If you like to travel light and are a casual photographer, I am sure you’ll love this camera. However, keep in mind that this point-and-shooter doesn’t have a flip up screen. For that, consider Canon G1 X (or G7X) instead. Fujifilm X30 came to replace the successful and popular X20. Externally, these models are similar, the lens remained the same, as well as the mechanical principle of zoom, but many of the camera components underwent important changes and improvements. 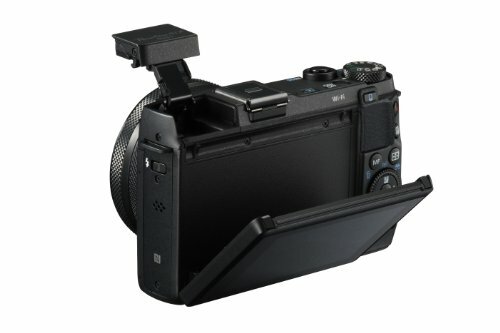 The first and main improvements to mention is that the viewfinder from the Fujifilm X30 is electronic. It is large and has a high resolution. As a rule, such viewfinders are placed in more expensive cameras in its line. I’d say it has perfect interface, with convenient controls, a mechanical zoom, and with clear logic of operation. Even the previous X20 model had these moments in order, and the X30 added a tilting screen, six programmable buttons and a control ring on the lens. Because the camera can be easily configured, ergonomics have become even better. Perhaps someone is upset by the abolition of the optical viewfinder, but the EVF of the X30 is very good – large and sharp, the delay in displaying on it is almost not felt. Like any electronic viewfinder, it has certain advantages over optical – it does not give parallax errors, and it allows you to impose information of any complexity (in a graphic sense) on top of a live image. 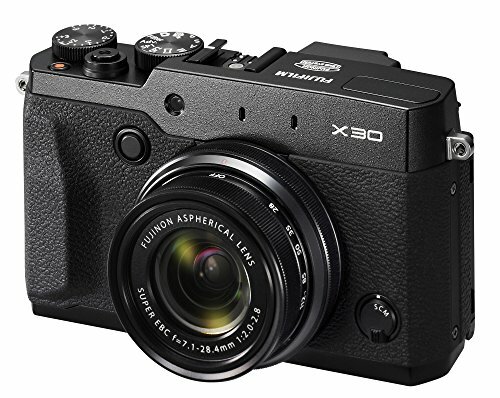 In terms of functionality Fujifilm X30 in many respects is not inferior to the older models of the X-series, and in some aspects even exceeds them – for example, the speed of the continuous shooting. At low ISO images are very good, but as the sensitivity increases, aggressive noise cancellation and watercolorization of the picture become more noticeable. Limit values in the ISO range are best avoided, which imposes certain limitations on the shooting in case of a lack of lighting. Perhaps the only thing that causes light tension is the size of the sensor. Until recently, the 2/3″ sensor in the compact was certainly large, but we do progress, and therefore more models with a larger matrix – 1″ format and even APS-C – are appearing. To date, Fujifilm X30 is still quite competitive, especially at low ISO values. However, in the future, apparently, from a flagship-level compact we will expect a larger sensor. In terms of a set of features, modes and capabilities, the Fujifilm X30 camera is very advanced. It is relatively small, convenient, responsive, and it is pleasant to work with. An electronic viewfinder of this quality generally does not exist in any other compact model. Although Fujifilm X30 belongs to the class of compacts, it leaves the impression of being serious and “correct”. To date, this is one of the best compact cameras on the market. 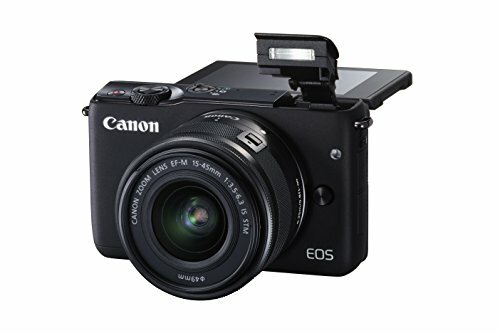 Canon EOS M10 falls into the category of compact mirrorless cameras with interchangeable lenses. Now, this camera definitely isn’t for professional photography. Its design and ergonomics are as simple as possible. However, its compactness is something that’ll appeal to the ladies, as well as those who like to travel light. The good thing is that with practical compact design also comes decent quality of the images. Selfie lovers and vloggers will also benefit from its tilting touch screen. The frame rate is 4.6 fps, which is enough to let you shoot videos in full HD mode (with the ability to use creative effects as well). And like most cameras mentioned in this list, Canon M10 also has Wi-Fi function. This means that storing and moving pictures and videos from the camera to cloud services, including Canon Irista, has become very easy. The NFC function, missing from the flagship Canon EOS M3, makes it simple. With just one tap you can connect to your smartphone and instantly move the pictures there. In addition, thanks to the Canon Camera Connect application, you can take advantage of wireless remote shooting with a fully manual control. I’d say this baby is for those who are on a low budget, travellers, and vloggers looking for an advanced compact camera in 2018. 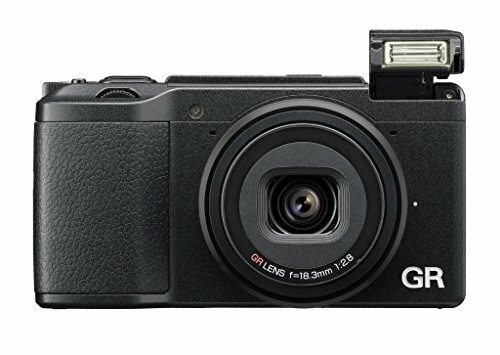 A lot of photographers consider Ricoh GR II a dream camera for street photography. (One of the reviews here). First of all, small form factor allows to avoid additional attention from people in the street. It doesn’t have a viewfinder but it has a fixed LCD screen on the back. Since it’s fixed, that might be the only thing you’ll miss – having a tilting screen, especially if taking photos from uncomfortable angles. The APS-C sensor is the same as in crop and mirrorless cameras. However, unlike most cameras produced in 2015, it has only 16 megapixels and it allows you to create truly high quality photos with exceptionally low image noise. If you need more flexibility, just shoot in RAW and then process the photos later. This little “monster” really is small. Portability of Ricoh GRII allows you to take it everywhere: to work, to travel, on your family vacation, when visiting your friends and so forth. This camera doesn’t take up much space in your bag and is actually pocket-sized. In my experience, GRII will satisfy the needs of various categories of potential buyers: professional photographers, amateur photographers, and even those who don’t consider themselves photographers at all. 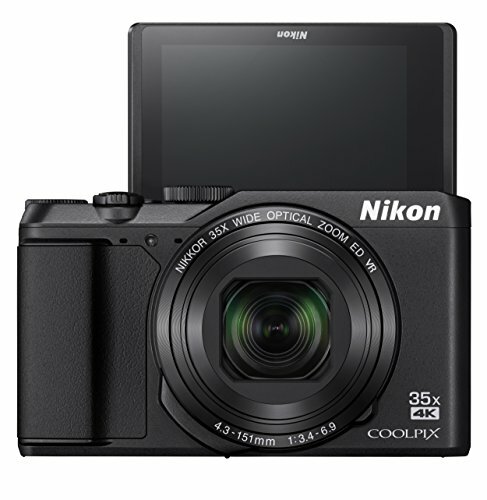 Really this compact can be used for family photos, shooting landscapes and nature, street photography, everyday shots, as well as for any other purposes. Potentially, this camera won’t be the best choice for most people, since it is equipped with the characteristics of a “top level” camera: fully manual control and a lot of functions for rather advanced photo-shooting. Ricoh GR II sure is a great DSLR alternative, especially for street photographers. Basically it’s a gem because GR II doesn’t attract as much attention on the street as do big SLR cameras. Max people will consider you a crazy tourist who’s taking shots of everything and everyone. The only issue you might face is not having a wide-angle lens. You’d actually have to come closer to the subject you want to take a shot of. In any case, I am sure you’ll love it. 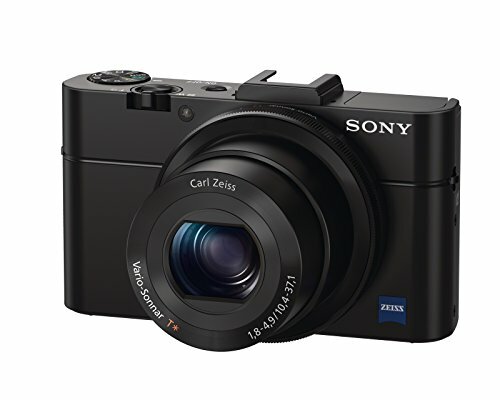 Sony Cyber-Shot RX100 II is a compact camera the size of a little more than a pack of cigarettes. The body is metal, without any extra decorative elements, which gives it minimalistic and strict design. This has its advantages: the camera does not attract attention, yet it does not look like a cheap point-and-shooter. I’d say that it’d even be humiliating to call it just a cheap compact camera. Judge for yourself: a very large for a compact 1″ sensor is installed inside. Of course, it is inferior in size to the sensors of DSLRs, but at the same time it is many times larger than the sensors of most other compacts and especially cell phones. Basically, a large sensor that allows the photographer to count on high image quality. Despite the fact that there are as many as 20 million pixels on it, there is enough space in the matrix: even when shooting at high sensitivity, the noise is not noticeable, and the images are sharp. A practical range of focal lengths from 28 to 100 millimeters is suitable for shooting in any scene. The aperture of F1.8 makes it comfortable to work in low light conditions. People who are used to processing photos will be pleased with the RAW format. The key differences from the very first model of the series is the improved backside illumination sensor. This allows you to reduce noise at high ISO. In addition, the camera has a tilting screen, presents Wi-Fi interface with support for NFC, thanks to which it is convenient to share pictures between different modern devices. This being said, for pocket-size compact digital camera Cyber-shot DSC-RX 100 II makes excellent images, securing itself the first positions in ratings. Of course, we would never advise you to abandon a system camera. Where specialized lenses are required, the system camera will have a clear advantage. However, if we are talking about amateur shooting using only a kit lens, then here the Sony Cyber-shot RX100 II is quite capable of making a worthy competition for both DSLRs and mirrorless cameras. Advanced compact cameras are acquired not only by wealthy photography enthusiasts, but also by professionals as an alternative to DSLRs. Their modest dimensions don’t attract the attention of passers-by and allow traveling light. The premium-segment cameras feature high-quality images, clarified optics, the ability to shoot in RAW format and use of manual settings. For professionals, the crop-factor close to 35 mm will be of huge value. This camera has been top rated since 2014 and even made our list of the best Canon cameras in 2018. This is the choice of those who look for a compact digital camera, who appreciate and ready to pay for its quality. Canon PowerShot G1 X Mark II is a compact camera with a high-quality lens and a large 18.7 x 14.0 mm matrix. Thanks to a balanced set of features, this compact is perfectly capable of replacing a SLR camera. The sensor has a 4:3 aspect ratio, and for the classic 3:2 aspect ratio, the device has the largest sensor among all small cameras and is equipped with an optical zoom lens. The matrix G1 X II operates at ISO sensitivity values from 100 to 12,800, and the shutter operates in the range of 60 s – 1/4000 sec. The burst rate is up to 5.2 frames per second. Since we mentioned the sensitivity, for ISO 1600, the picture has very good quality, the noise is gentle, and the frequency and balance range is at a good level. At ISO 3200, however, the image degradation is much more severe. Images start to lose details. In low light scenes, effective image stabilization works well. It should be noted that the speed of autofocus Canon G1 X Mark II is not fast, although it works quite accurately. In low light, it can happen that the camera focuses in 2-3 seconds. Attention deserves the screen, or rather, that it is touchscreen. This greatly facilitates interaction with the camera, as well as when setting the active AF point, and when viewing and zooming in images. When manually setting the focus, click on the option to expand. Manual focus also facilitates the selection of sharp edges. I’d say that Canon G1 X mark II is a successful compact camera of premium class. I think this model will be great for amateur photographers who are not ready to purchase a bulky SLR camera and optics to it. This is an excellent option for shooting on a trip or even for everyday shooting for both beginners and experienced amateur photographers. Besides that, G1 X II is considered a great option for vloggers since it has a flip up screen. In the TOP-3 of the best point-and-shoot cameras of the premium segment, the DMC-LX 100 is the most compact. But its camera size did not prevent to concentrate all modern technologies in a miniature model. Panasonic captures the attention of professional photographers looking for a compact replacement for DSLRs on vacation. The first thing that catches your eye is the developed manual control, which the manufacturer is betting on. Ergonomics is impressive: most of the settings are made on the body of the camera. Technical characteristics are worthy of the leaders of the rating. Acceptable crop factor 2, RAW format support, clarified optics (F1.7 – F2.8), and burst rate of 11 frames per second. The minimum shooting distance is suitable for macro and is only 3 centimeters. The digital camera is also great for recording video, including 4K resolution. Retro fans or old-school photographers will appreciate the form factor of the camera, close to the rangefinder cameras. A metal shutter-release selector and a lens ring to select the aperture will give an inexpressible sense of connection with the camera during shooting. In terms of ISO, overall, the LX100 provides good image quality to ISO 1600 inclusive, ISO 3200 can be called acceptable. At ISO 3200 the colour noise begins to hide details of objects in the shadows. ISO 6400 and higher are only suitable for shooting in exceptional situations. It should be said that the lens in the Lumix LX100 is just as good as the compact, fast aperture zoom lens. It does not “tear” up the high-end interchangeable lens cameras, but overall its high resolution and almost complete absence of aberrations deserve respect. Nice add-ons include autofocus lights, HDMI and Wi-Fi. Without a doubt, the Panasonic Lumix DLC-LX 100 is one of the most interesting compact cameras available on the market today. It has very compact dimensions yet it is equipped with a large sensor, a viewfinder and a high-zoom lens, which makes this camera much more versatile photographic solution than the Fujifilm X100 / X100S / X100T, Nikon Coolpix A , Ricoh GR and other cameras with large sensors and lenses with a fixed focal length. Leica compact digital cameras traditionally impress with two features. First is their insane price tag: for that price you’d have enough to buy a set of equipment for professional photography. But the quality of images is what makes it the best. Despite the compact size, it is full-frame camera. The 26-megapixel sensor is comparable to the electronic filling of professional DSLRs. The camera is suitable for macro photography – the minimum focusing distance is 17 centimeters. Enlightened optics (F1.7) will help to achieve clear pictures even in low light conditions and brings the camera model to the first place in the rating. The only thing that can upset the buyers with a bigger budget is a fixed focal length of 28 millimeters. You cannot zoom in/zoom out the objects in the frame, so you’ll have to run around on your feet. Users also note a weak battery, but this small issue can solved by purchasing a spare battery. Video shooting is possible in Full HD resolution at 50/60 frames per second. On the camera body there is a stereo microphone and an HDMI-out, but there are no external devices for recording sound. However, Leica does not intend to compete with Canon and Sony in terms of video recording. My guess is that for the target audience, Leica Q video shooting will be a small bonus to the main functionality of the camera. Leica Q is great in all aspects. It has a nice minimalistic body with metal elements, it shoots perfectly, it is convenient for working in manual mode, it does not take up much space in the bag and, finally, it gives the same sensations from work as Leica M.
I don’t think that the camera can be regarded as a professional photographer’s tool, rather it’s designed for advanced amateur photographers. I would also recommend Leica Q to desperate travelers, as the camera allows you to shoot in almost any environment. So, we explored 7 best point-and-shoot cameras available for sale in 2018 and I hope this list will help you make an educated buying decision. So which camera to choose as your DSLR alternative? I can advise the following. If you don’t plan to invest in the purchase of more advanced gear later, it’s recommended that you check out the aforementioned compact cameras. However, if in the future you see yourself as a professional photographer, you should take a closer look at entry-level DSLRs, like Nikon D3400 or D5300, for example. Today, even under $500 it is quite possible to buy a decent camera! Have you made your decision? Which camera did you decide to buy? If you still have doubts about which point-and-shoot camera to buy in 2018, or have questions/comments, let me know in the comment section below! 3 Best Gadget Gift Ideas for Father’s Day 2018: Surprise Your Tech-Savvy Dad! I keep on watching vlogs on youtube and I realized that I want to give it a try too. I’m looking for a starting camera to start my vlogging channel. Without doubt, I found your article which very informative and helpful. Which do you think is the best vlogging camera for beginners in 2018? Hey John, welcome to my website. That’s a very good question, and I plan to create a separate post on best vlogging cameras in the near future. If we look at this particular list of the best point-and-shoot cameras in 2018, and since you said you need a starter vlogging camera, I’d go with Canon ELPH 300 HS. Not only is it one of the best point-and-shoot cameras to buy for 2018 but it also the best budget vlogging camera. Since you are just starting out, I’d assume that you’re probably looking for cheap cameras to make good videos but still don’t want to sacrifice quality. This being said, go with Canon Powershot ELPH 300 HS (click to read the description again).